Planning a beach holiday in the tropics this summer? Well, make sure you include the Philippines in your list of must-see destinations! Why? Well, beach lovers and sun worshippers across the planet have now set their sights on the Philippines, as the country’s best beach haunts have consistently topped the lists of best islands in the world in the world from Travel+Leisure to Conde Nast and more. 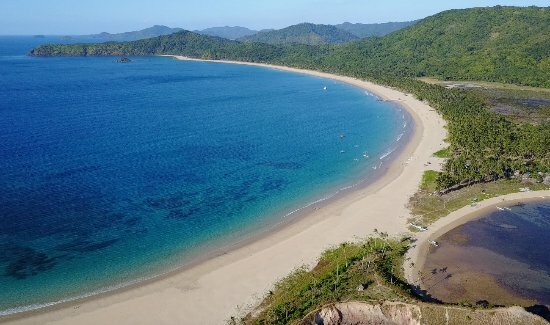 Here’s a peek at a few of the most amazing beach destinations in the Philippines for 2019. Coron in the island-province of Palawan is hailed as number one on the list of the best beaches in Philippines 2019 and is considered one of the places to go if you’re in the country for only a few days. After arriving at the airport, you can easily find a place to stay in the town center, or in one of the luxury island resorts nearby. You could then hop on a boat to visit the nearby islets, white-sand beaches, lagoons, and snorkeling/dive spots! Located on the northernmost tip of the island-province of Palawan, El Nido rivals Coron when it comes sot jaw-dropping natural and beach sceneries. Just off the coast of the town center, you can easily find stunning islands with towering karst cliffs and mountains, hidden beaches and lagoons. The sea views here are similar to what you’ll see in Ko Phi Phi or Krabi in Thailand, or Ha Long Bay in Vietnam! Panglao Island is home to long stretches of sparkling white sand beaches and world-class resorts. It serves as the perfect base for day tours to Bohol’s best natural and cultural spots, as well as the jump-off point to nearby hidden islets, lagoons, snorkeling and diving spots, along with dolphin and whale-watching tours! One of the reasons why Cebu is a popular beach lover’s destination is because it has places like Bantayan Island! Located at the northernmost tip of the Cebu mainland, Bantayan features pristine white sand beaches, calm aqua blue waters and exotic but affordable resorts, bars, and restaurants that serve cheap yet so tasty seafood! Located near the town of Carles in Iloilo, the Gigantes group of islands is one of the relatively new beach destinations in the Western Visayas region and is popular among those looking for new island-hopping venues. Among the popular spots include Tangke (a hidden saltwater lagoon), scenic island views and cheap yet super-tasty seafood! So, if you’d like to visit these truly jaw-dropping beach destinations, contact your favorite travel agency or guide, or check out beach bloggers the Philippines now!